If you're the type who has to struggle not to steer into the drive-thru for a shake, hurry home and make these copies instead. They've got all the taste, none of the junk, and protein to spare! Who doesn't love a Dairy Queen Blizzard or Ben & Jerry's Ice Cream? There may be someone, but I haven't met them yet. These treats aren't just popular because they taste good; it's because they're good in so many ways. They're cold, sweet, creamy, and crunchy all at the same time—not fair!—and they the classic texture of frozen dairy with whatever else you're craving at the moment. What could possibly be wrong with this scenario? Well, I think we can all agree that these delicious treats are far too high in calories, fat, carbs and sugar. So is the answer to live wanting them but not having them? Not a chance. The answer is to fake them! 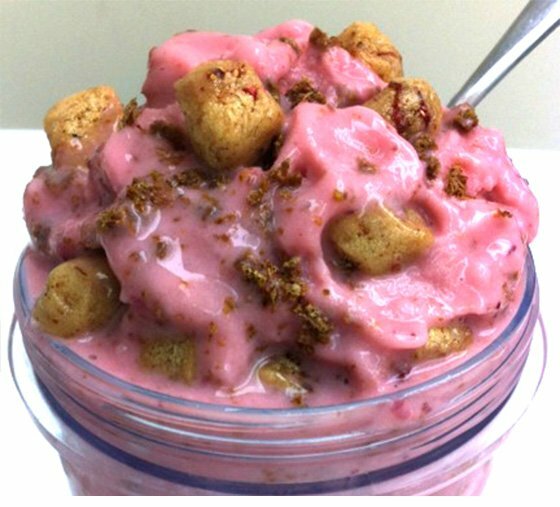 You can make these healthy versions of my favorite ice cream concoctions in less than 20 minutes apiece. Each one is big on taste but low in calories, fat, carbs, sugar, and guilt! Don't believe me? Just check the stats! I use a few ingredients you might expect, like protein powders, and a few that might just blow your mind, like ... well, read on! 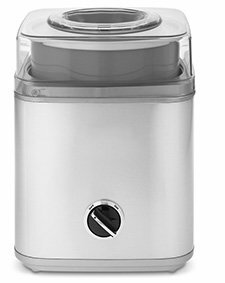 If you're serious about your frozen treats—healthy or otherwise—an ice cream maker is well worth investing in. You can find a decent one for about $50 online, which may sound like a lot, but costs just the same as a dozen Blizzards or pints of Ben & Jerry's. Once you get the hang of making these healthy substitutes, you'll be eating profits in no time. But until then, I've also included the tried-and-true DIY plastic bag method. 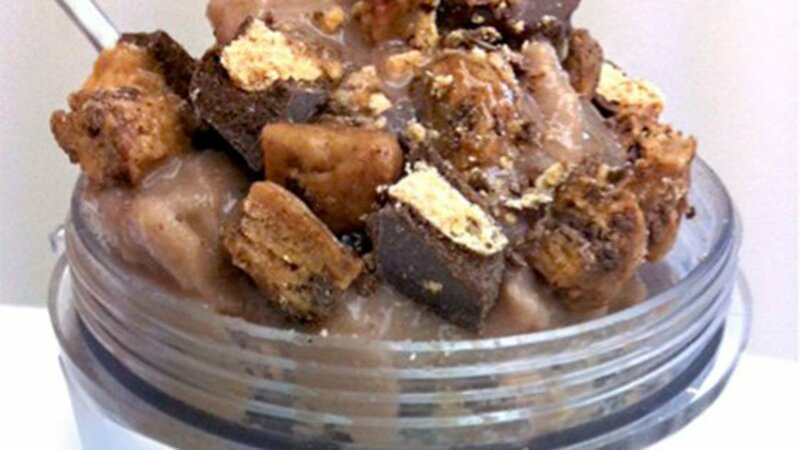 Remove your ice cream maker's bowl from the freezer. (You're supposed to keep it in the freezer all the time, and at least for 24 hours before the first time you use it. Yeah, I was pretty angry about waiting 24 hours the first time, too). Set the bowl onto your ice cream stand according to the directions. 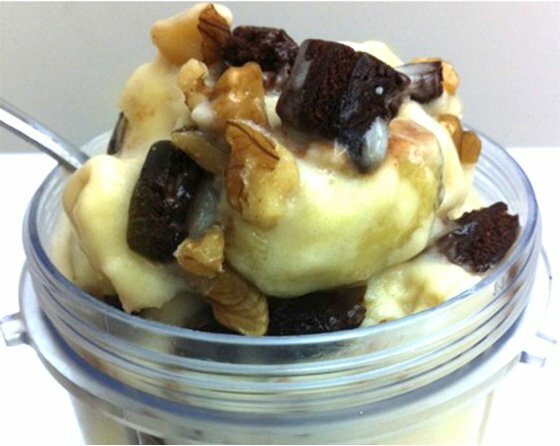 Pour the ice cream mixture into your ice cream machine for 10-15 minutes, or according to the machine's directions. Keep an eye on it. If you're going for a Blizzard, you want the ice cream to have a soft-serve consistency, not a hard ice cream consistency, so don't leave it in the machine for too long. This may seem too simple to work, but trust me, it does—as long as you do it right. When you add salt to the ice, it lowers the freezing point, so more energy has to be absorbed from the environment for the ice to melt. This makes the ice colder than it was before, which is how your ice cream freezes. Be sure to use kosher or rock salt rather than table salt, because their larger crystals are key to ending up with true soft serve texture. Larger crystals take longer to dissolve in water around the ice, which allows for consistent cooling of the ice cream. Stuff a huge Ziploc bag half-full with ice. Add 6 tbsp of kosher salt or rock salt and mix. 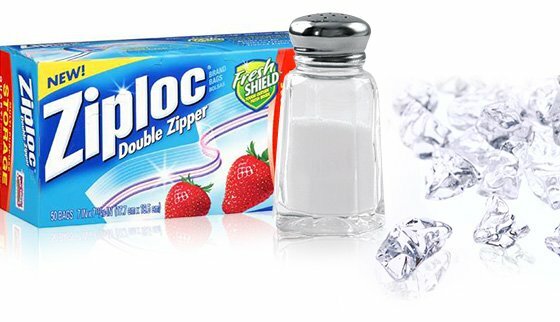 Add all the ingredients in the desired recipe into a small Ziploc bag and seal it. Shake the bags vigorously for 5-15 minutes until ice cream forms. Hold with a towel to prevent frostbite! This shake takes Dairy Queen's Strawberry CheeseQuake Blizzard as its flavor inspiration, but strips away the sugar and calories. Quest Nutrition's Strawberry Cheesecake Quest Bar gives you that crucial crust texture, along with GG Bran Sprinkles, which are a flaked form of GG Bran crispbread. Both are low in net carbs and diabetic-friendly. Just say the title of this shake three or four times out loud and try not to start jumping around like a little kid. My healthy chocolate treat is topped with Quest Cravings Protein Peanut Butter Cups and nuggets of Quest's Chocolate Chip Cookie Dough Protein Bars. These gems raise this creamy treat to a whole new level of guilt-free decadence. The peanut butter cups taste just like candy, but because they're not made with sugar and are high in protein, you can have one without compromising your healthy lifestyle. 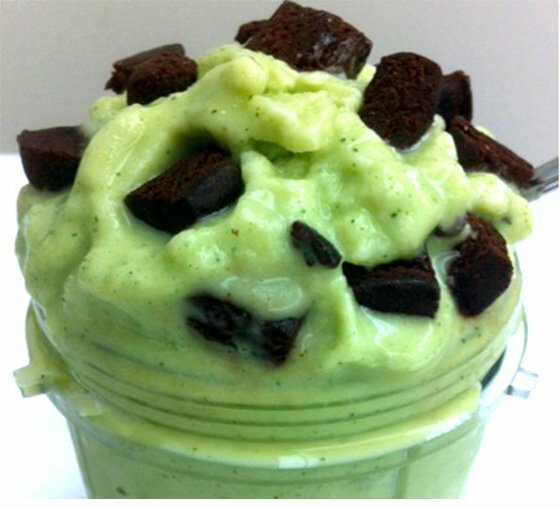 The zucchini is the reason why the soft serve is so creamy, so use it! Ben and Jerry's Chunky Monkey ice cream is one of their oldest and best-selling flavors. Why? 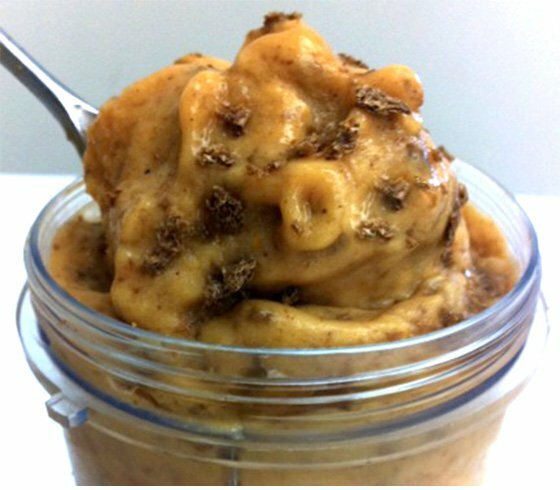 Because, for those of us who have a palate for banana ice cream, nothing but banana will do. This recipe is simplicity itself, so you'll come back to it again and again. Pumpkin scares some people off because it has a high glycemic index of 75. Your immediate reaction may be to boycott it because it could cause a marked increase in your blood sugar, ultimately leading to fat storage. However, pumpkin has a low glycemic load of 3 because of its low carbohydrate content. This means pumpkin has a smaller impact on your blood sugar levels than its GI suggests, so don't hesitate to include this nutrient-dense vegetable into your diet. Here's that zucchini again! You'll believe me after you try it, I swear! And because we're including the healthy peel this time, it'll also make your mint shake green. This decadent shake also uses erythritol, is a naturally-occurring sugar alcohol that is naturally found in trace amounts in various plants, fruits and mushrooms. It's virtually calorie-free, has a low glycemic impact, doesn't contribute to tooth decay, and it tastes just like sugar. What's not to like?